Included below are homes for sale in Madison, NJ, in Morris county. These Madison NJ real estate listings are updated daily from the Garden State MLS (GSMLS). Convenient commute via New Jersey Transits Midtown Direct Line into NYC. Currently it will take about 47 minutes to reach Midtown Manhattan. Madison's historic downtown, hosting many wonderful shops and restaurants is a pleasure to take a leisurely stroll down, and do a little shopping. Madison NJ has some of the best schools in New Jersey. 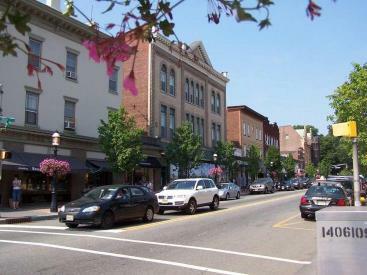 Madison NJ, located in Morris County has significantly lower property taxes than comparable homes in Essex County towns. Much of Madison NJ is just 5 to 10 minutes by car to the Short Hills mall, or to East Hanover's Rt. 10 shopping corridor. The downtown and local shopping areas offer a variety of unique specialty shops, service-based businesses and professional offices. 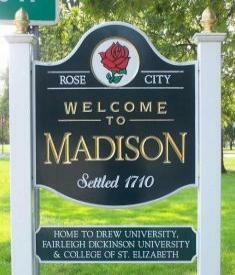 Madison has a small downtown of its own and is in close proximity to the Morristown and Chatham downtown areas. You can find just about anything you are looking for in a quaint downtown setting. If you ask anyone in Madison to name their favorite restaurant, you will most certainly find Il Mondo Vecchio on that list. Established by the same owners as Scalini Fedeli in Chatham, Il Mondo Vecchio offers traditional Italian cuisine in an upscale casual atmosphere. In fact, recently the Star Ledger provided the following review for Il Mondo Vecchio: "It's wonderful that Il Mondo Vecchio has held up so well over nearly 20 years in which hundreds of New Jersey restaurants have come and gone. The lesson here is that while novelty wears off quickly, real quality is enduring." Il Mondo Vecchio is located at 72 Main Street and can be reached at (973) 301-0024. Buses and trains provide easy access to New York City as well as to Hoboken, Newark and Jersey City. Located on the NJ Transit Morris & Essex train line (also referred to as the Midtown Direct train line), the Madison train station is one of the most beautiful in New Jersey. 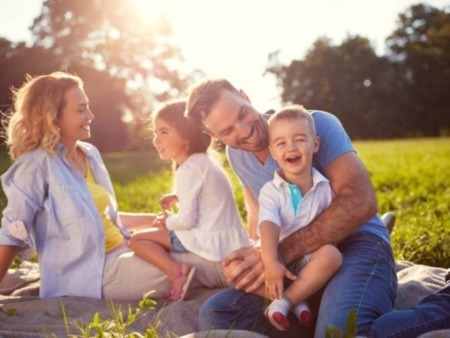 Many homes are within walking distance which makes living in Madison even more attractive. Express trains from Madison take only 50 minutes to New York City. Relax, sleep or work on new double decker trains and arrive at work fresh and ready to start the day. Commuter parking lots are available for residents although there is sometimes a wait for obtaining a parking permit so apply as early as possible. In addition, buses pick up commuters at various points in town. Madison is a quick 25 minutes from Newark Airport and is close to major highways. With all Madison has to offer, nothing is more important to residents and buyers than the Madison school system. Consistently highly ranked by New Jersey Monthly Magazine and other publications, the Madison school system is one of the best New Jersey has to offer. For more information about the Madison school system, please visit the Madison School District website. This highly selective university on almost 200 wooded acres in the foothills of northern New Jersey enrolls more than 2,600 men and women. The institution's undergraduate division is regarded as one of the top liberal arts colleges in the nation. educators that enables writers to develop their works in a nurturing environment and to connect with new audiences. Visit their website for performance information and details on education programs. The Shakespeare Theatre of New Jersey Main Stage season, presented in the F.M. Kirby Shakespeare Theatre on the Drew University Campus in Madison, runs June through December. An outdoor production is presented each summer at The Greek Theatre, an open-air amphitheater located on College of Saint Elizabeth campus in Morris Township. More than 8,800 artifacts from 21 different trades help tell the story of pre-industrial times in New Jersey and the nation. The Museum of Early Trades & Crafts (METC) collection consists primarily of hand tools and the products that were produced by them. Among the permanent exhibits is "The Essential Trade: Blacksmithing in America", which explores the important work of blacksmiths in American history. Electricity and gas are provided by the Madison Electric Utility and Public Service Electric & Gas (PSE&G), respectively. Water is provided by the Madison Water Utility. Garbage collection is provided free of charge by Madison and sewage treatment (at an additional charge) by the Madison Sewer Utility. Madison picks up trash one a week (twice a week between May 1 and August 31), and there is an active recycling program. A drp off recycling center is located on John Street. Want more information about any of these Madison NJ homes for sale? Just click the "Request More Info" or "Schedule a Showing" button when viewing the details of that property. As New Jersey luxury real estate experts, we not only have access to the property disclosures and past sales history of each property, but the local knowledge to help you interpret them. We can also provide you with dates and prices of nearby homes recently sold in the Madison area, and more.